When daylighting and durability are equal priorities in a project’s design, polycarbonate glazing systems can meet these performance requirements as well as support safety, sustainability, aesthetic, and economic goals. 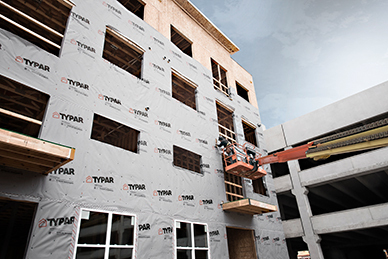 Effectively balancing these requirements and goals in exterior vertical wall applications involves understanding the strengths and limitations of polycarbonate glazing systems. This knowledge will assist with product selection and specification of materials and systems, and when possible, offer evaluation through measurable attributes. Polycarbonate is made from thermoplastic polymers. These polymers can be heated to their melting point, cooled, and reheated without affecting their performance properties. Thermoplastics also exhibit high impact strength and are recyclable. In-plant polycarbonate waste can be recycled and reused in the manufacturing process without diminishing the glazing material’s performance. At the end of its useful product life, the polycarbonate scrap also can be recycled, similar to other construction waste. Due to the longevity of polycarbonate glazing, the majority remains in use. final shape. This process allows for the formation of polycarbonate panels of near infinite length, as limited by shipping and handling. Multiwall polycarbonate glazing sheets typically are available in 25 to 50 mm (1 to 2 in.) thicknesses. 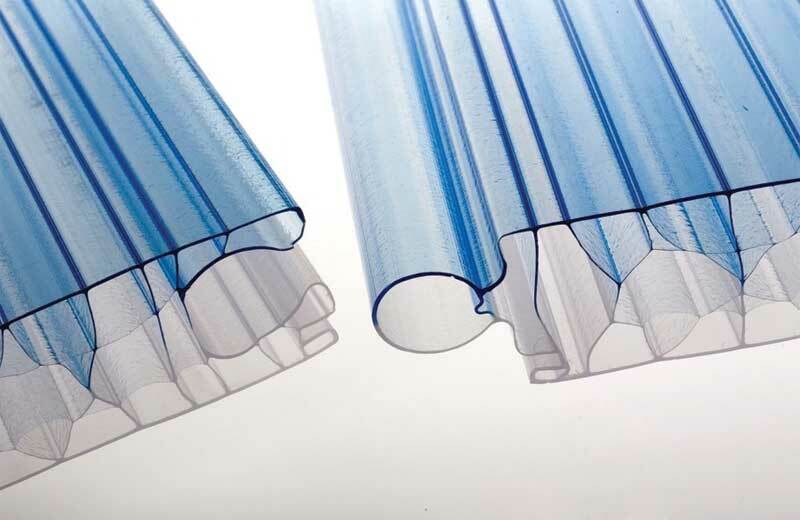 A tongue and groove profile is used for translucent exterior vertical wall systems. Joints, which have no battens of any kind, create a visually continuous wall. Depending on the project’s load requirements, a 40-mm (1.6-in.) panel can span 1.2 to 1.8 m (4 to 6 ft) without a horizontal supporting structure. A 50-mm (2-in.) 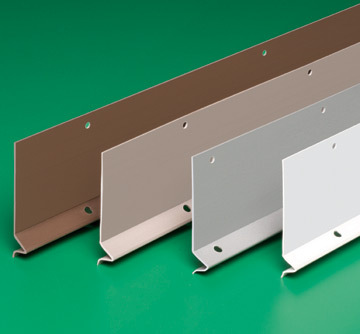 panel can span 1.8 to 2.7 m (6 to 9 ft) without visible metal supports. 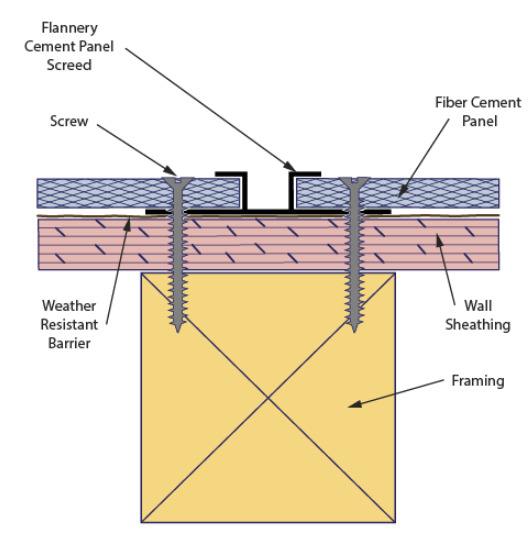 Some panel configurations allow the insertion of reinforcing bars the length of the panel. These bars increase the panel’s spanning capability. To determine expansion, multiply 0.065 x (panel length) x 50 C (D temperature differential). For instance, a 12-m (40-ft) polycarbonate sheet can have a 39 mm (1.5 in.) change in length: 0.065 x 12.192 m x 50 C = 39 mm. Polycarbonate glazing panels feature a tongue-and-groove profile for use with exterior vertical wall systems. 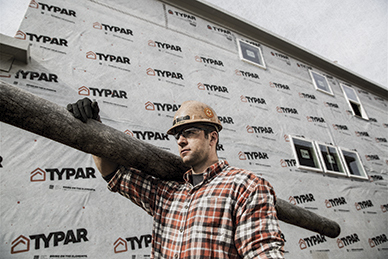 Joints, which have no battens of any kind, create a visually continuous wall. A 50-mm (2-in.) 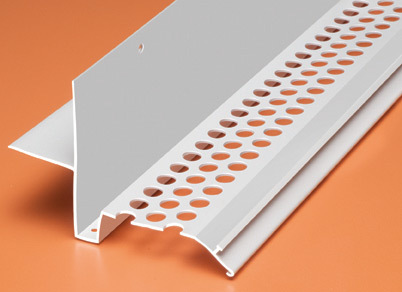 panel can space 1.8 to 2.7 m (6 to 9 ft) without visible metal supports. 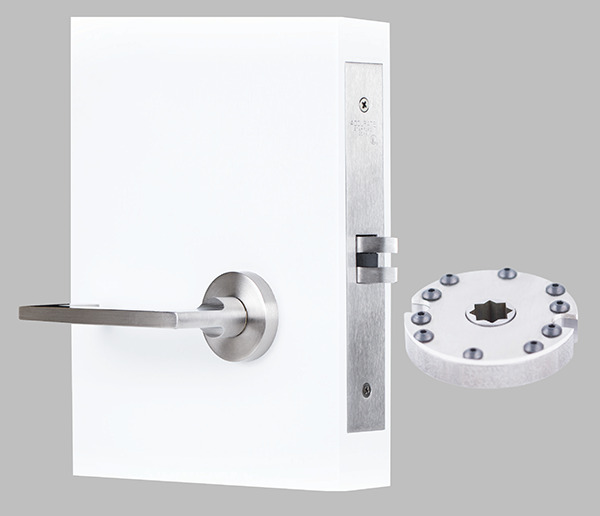 thermal movement or pressure plates designed to provide consistent pressure on the gaskets without over-tightening which might restrict the panels. Some manufacturers also engineer their framing as fully-weeped systems with water management in mind. 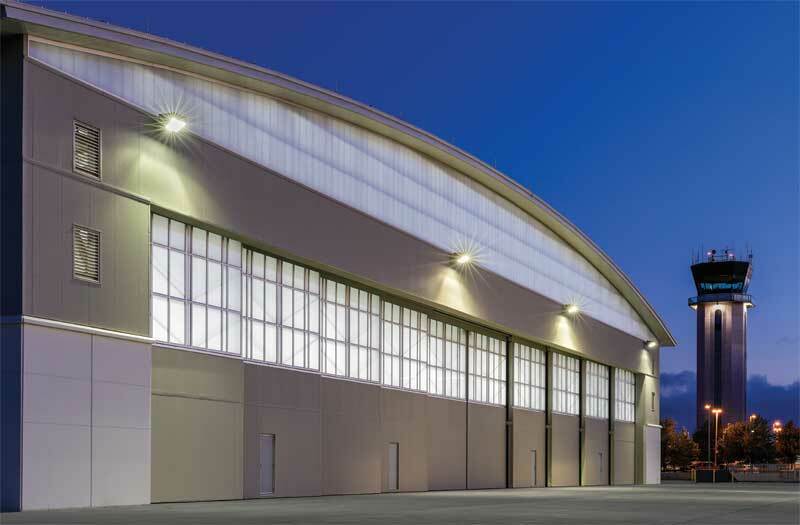 Polycarbonate glazing systems can be field fabricated at the jobsite, or prefabricated in factory-controlled conditions to ensure the system performs as intended. It is important to remember polycarbonate glazing panels are just one component of the system. Proper specification addresses the entire vertical wall system and the performance criteria to meet the project’s requirements.